Here at Inesscents, the goal was not only to provide a means to healthy, glowing skin but also to raise awareness in and around how the world does business. 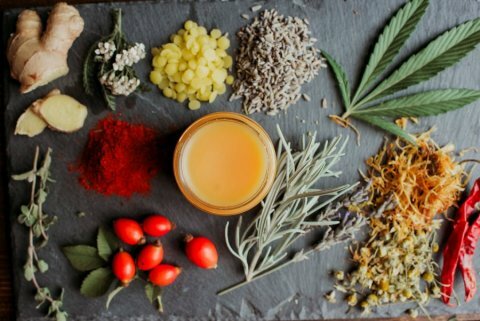 We rely on certified organic, wild-crafted botanicals, cold-pressed unrefined oils, nutrient dense butters, and sustainable harvesting practices to create each one of our products. We support a strong network of international organic producers and farmers. 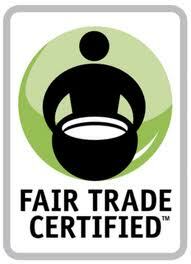 Inesscents is certified organic by Oregon Tilth, the foremost certifying body in the USA. It was a natural progression for us to use our passion, experience and expertise of healing botanicals and apply them to the hemp & CBD industry. Please take the time to explore our carefully selected ingredients, all sustainably sourced and mindfully selected to support and balance the body. Many of our raw materials come from around the world, where they grow naturally. In choosing to source from the regions of the globe where these priceless resources grow, we needed to ensure that we were keeping small farmers an active part of the world marketplace. We are a certified Fair Trade company, and as such we have business practices that are supportive of mutually beneficial global partnership. We honor economic, social and environmental goals across the board with our wonderful producers and farmers. We became a designated B Corps in 2008. B Corps mission was to safeguard business practices and quantify the balance between profit and purpose. As garners of this badge, we consider the impact of our decisions based upon on workers, customers, suppliers, community and environment. We honor all B Corps out there as community leaders, driving a global movement of people using business for good, and we are proud to be in the bunch. iTal is the Rastafarian code of etiquette and discipline in the areas of sustainability and conscious living. It’s a way of life. It’s choosing to walk to work rather than drive. It’s choosing a vegan diet over a meat laden diet. It’s choosing natural cleaning products over toxic chemical cleaners. It’s starting from within and working out to the greater good. Becoming a certified iTal body care company meant that we were making a steadfast commitment to use raw, organic, cruelty free ingredients for our formulations and operate within the highest ethical standards of business. Each step of our production is done by hand. From the farmers who help supply us with raw materials, to our production facility where we hand-blend our formulas, hand-package each bottle and ship off our orders. It’s important to us to maintain the efficacy and therapeutic benefits these botanicals, oils and butters provide. The more that we can maintain the purity of each component, the easier it is to send our products into the world. It’s all in the details, and we love details.